Neymar Jr’s Favorite Black Ops 4 Character Is…. Neymar Jr and fellow Brazilian international teammates Thiago Silva and Marquinjos joined forces to play Call of Duty: Black Ops 4. They’ve also joined other famous celebrities in the country such as Alanzoka and Hayashii which is a nice publicity stunt for the Call of Duty franchise (not that it needed it anyways). The whole event was in Neymar’s personal gaming room (in Paris, France) that was recently renovated by several companies. Neymar’s Favorite Black Ops IIII Character Is…. So who is Neymar’s favorite Black Ops 4 character? Well Neymar Jr didn’t flat out say who his favorite video game character in the new Black Ops game is, however, first impressions matter and once the countdown clock reached zero on the Call of Duty Twitch page, we see Neymar Jr emerge with the Black Ops 4 character screen in the background. 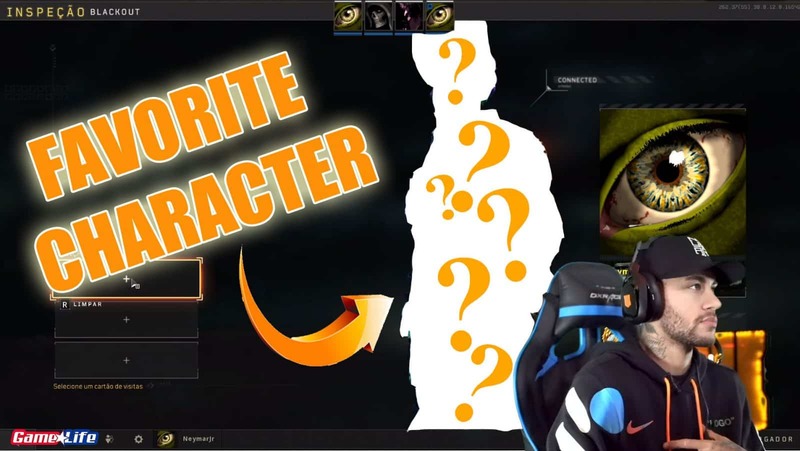 Who was the first character on the screen? With Neymar Jr coming on screen, he is seen relaxing in his professional gaming chair looking at the live feed to make sure everything is in order and that his other professional soccer teammates are there with his, Thiago Silva and Marquinjos. With thousands of Call of Duty fans watch the stream, Battery is sticking out in the background like a sore thumb, for the whole world to see. 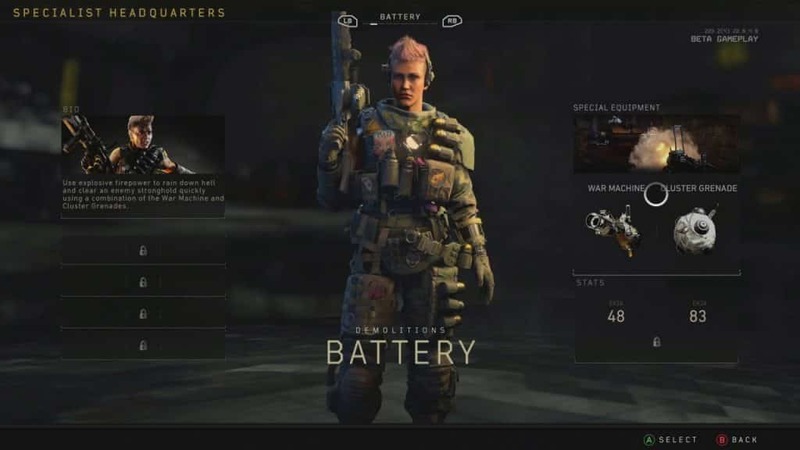 Neymar Jr didn’t specifically say Battery is his favorite character to use, however, knowing that hundreds of thousands of gamers will be watching your stream, he chose to have Battery, all camo ‘d up in a nice blue and purple pattern. 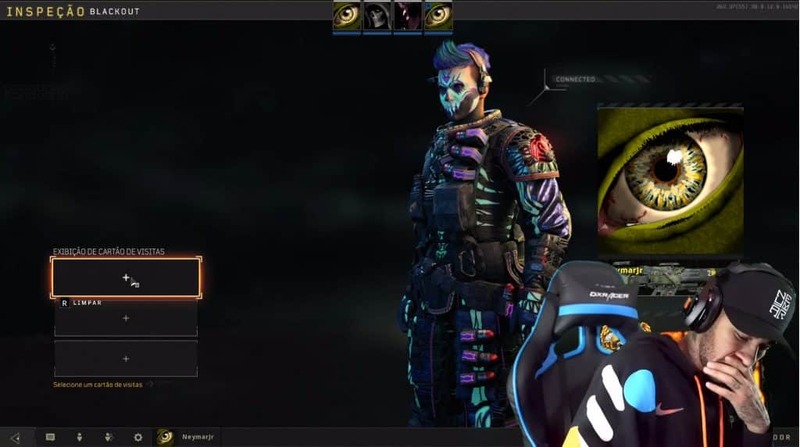 Neymar Jr then was fixing himself up to get into Call of Duty Black Ops 4 Blackout with the rest of the gang.